The NE900 series is our new microscope for professional pathology, research and clinical use. Thoughtfully designed and robustly engineered, the NE900 series is set to maximise return on investment, efficient work flows and operator comfort. 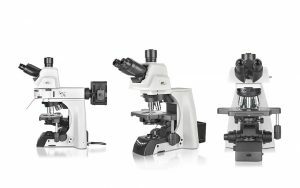 In the recommended configuration, the NE900 series has an ergo tilting (0° to 35°) trinocular head with a 3 position beam splitter (0:100, 80:20, 100:0). 30° Seidentopf bi- and trinocular viewing heads are also available. The co-axial focus controls are in a low position, close to the height and tension adjustable co-axial stage adjustment. The fine focus knobs are magnetically attached so that the large and small profile knobs can be switched easily. 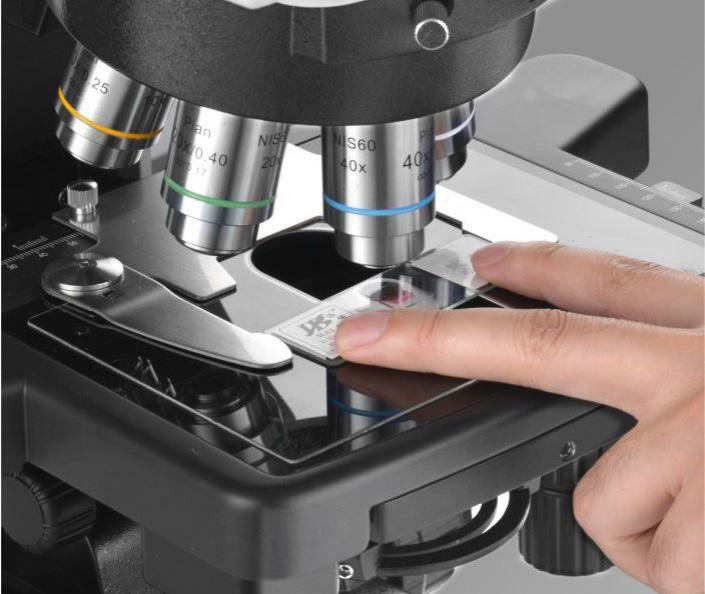 The NE900 series has a large mechanical stage (190 × 152mm) with a durable Gorilla Glass insert. This pairs with a convex point guided slide holder to make placing and removing slides easy. A focus lock function further simplifies your work flow. The NE900 series has a bright, flat, and high resolution infinite optical path. The N-PLN plan objectives deliver high contrast images from visible through to NIRS wavelengths. N-PLFN objectives are Apochromatic and designed for fluorescence use from UV through to IR spectra. 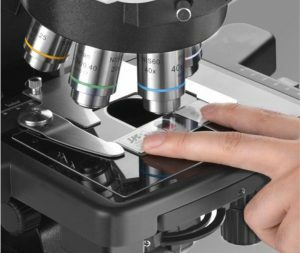 These are highly sensitive lenses that provide excellent acuity and colour reproduction when viewing directly or for digital imaging. 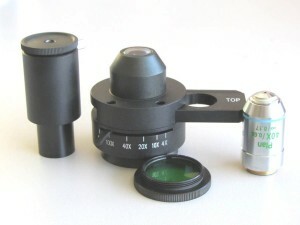 N-PLM PH are high quality phase contrast objectives that provide a flat, even image over their 25mm FOV when used for bright field or transmitted light techniques. 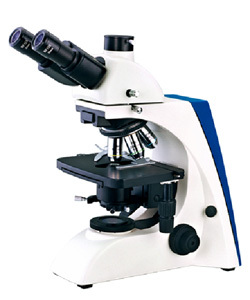 Very bright SW10x/25 high eye point, super wide field eyepieces are included as standard equipment. Other magnification and field of view options are available as accessories. Illumination is provided by your choice of either a 3W LED or a 12v/100w halogen. A swing top condenser (NA 0.9/0.25) reduces time required to reset after changing objectives. left or right handed placement of the beam splitter control. 0° to 35° Ergo Tilting Trinocular. 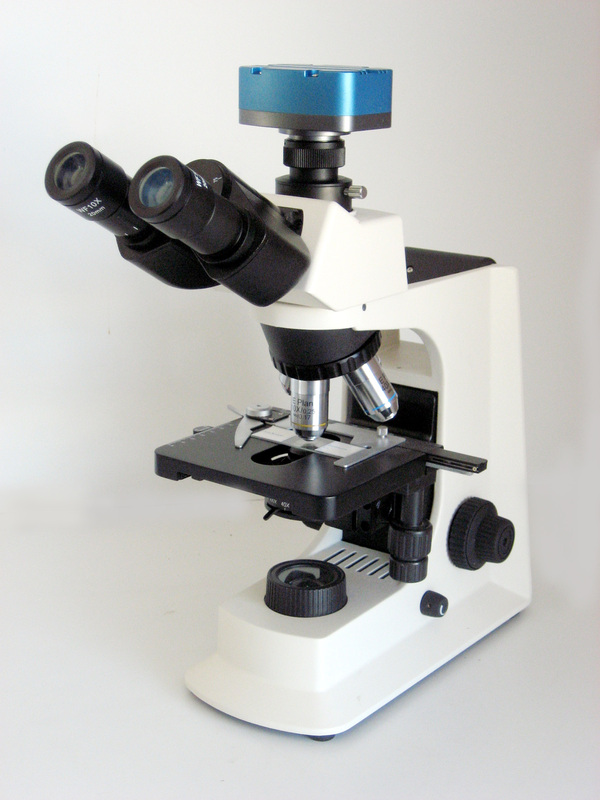 The NE900 series is a very well supported platform for multiple techniques. Dark field (dry or oil) condensers, phase contrast, polarizer, and fluorescence kits are all available. To further improve workflow efficiencies, and ergonomic benefits, the NE930 adds a motorised nosepiece, motorised swing out condenser, and quick change buttons to select objective and light intensity presets. 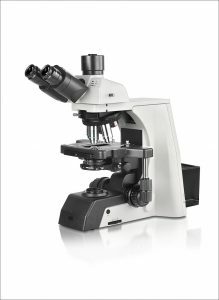 The NE950 is available for fluorescence microscopy with 6 filter blocks and a 100W mercury illuminator. A range of plan achromatic objectives of PL 10x, PL 20x, PL40x, PL100x available. BK5000TR Trinocular Microscope with Plan Achromat Infinity Phase contrast Objectives. Condenser Abbe 1.25 with iris diaphragm. Phase Kit small with condenser and slide also available single and dual phase slides available.